To a person who is not familiar with stainless steel, visually, the difference between 316 grade of stainless steel and 304 is easy to miss. However, in reality the difference between these two stainless steel alloys is huge. What is the Difference Between 304 and 316 Grade? The most basic difference between grade 304 and grade 316 stainless steel is that 316 tends to have more nickel and molybdenum in the mix. Where grade 316 stainless proves superior is its increased corrosion resistance, particularly against chlorides and chlorinated solutions such as for Swimming Pool waterfall set ups. Grade 316 stainless is also particularly desirable for applications where exposure to salt is an issue. So the big question is…Is it Worth the Extra Cost? 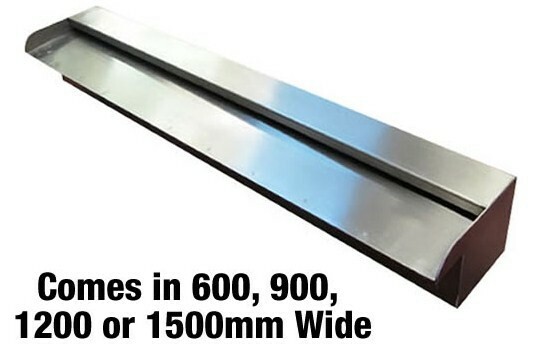 The inclusion of higher molybdenum does make grade 316 stainless steel a bit more costly compared to grade 304 material however is worth paying for, for piece of mind. If you have an application with very powerful corrosives or relies on chlorides such as for swimming pool or coastal applications, then paying a premium for grade 316 stainless steel is definitely worth it. In such applications, 316 stainless will last many times longer than grade 304 stainless would - which can mean many extra years of useful life. 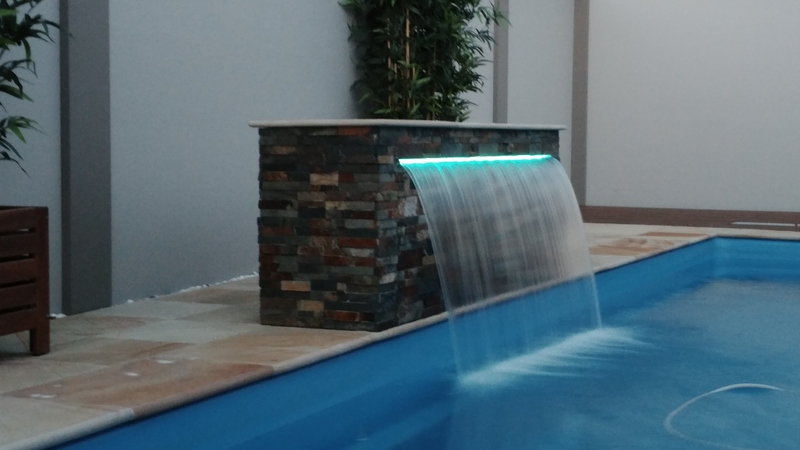 For applications where chlorine or salt exposure isn’t a concern, such as for fresh water waterfall/feature applications then grade 304 can work.